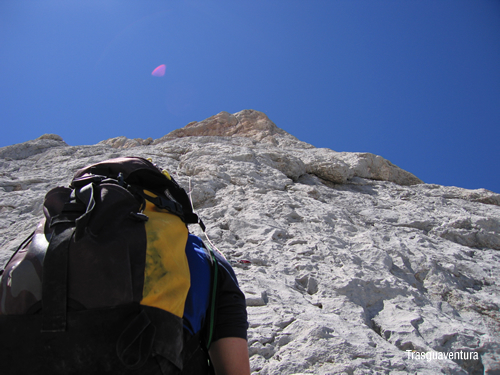 Idolatered by climbers, the climbs to its summit are counted as feats of great merit. For a while now, however, any person with a certain physical training, and without a sense of vertigo, can make a point by confronting the crowd with their easier faces. From above you enjoy an exclusive and non-transferable feeling. 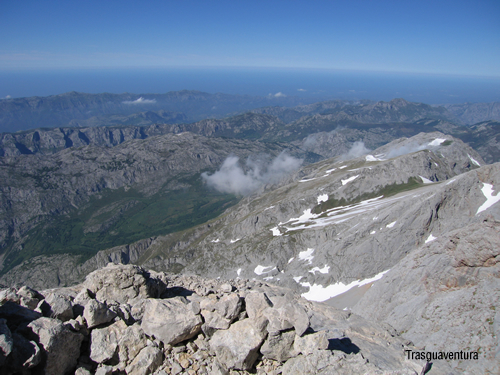 The view is impressive: the Asturian coast in the background, Torrecerredo a step away, Peña Santa a little beyond, and everywhere a broken relief of limestone loaded with peaks and "jous" that produce an extreme sense of abyss and precipice. 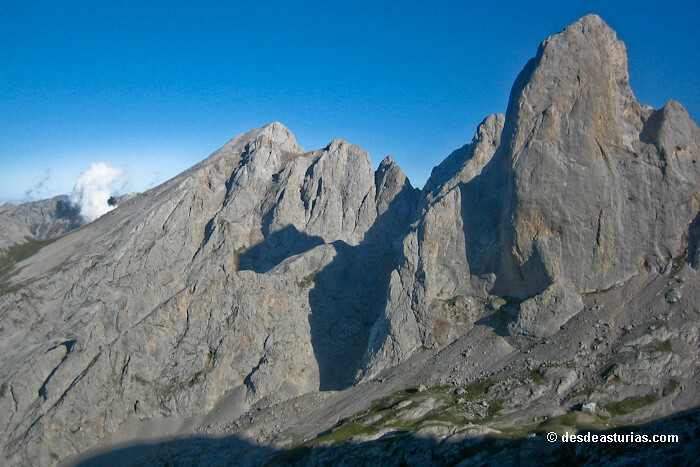 El Naranjo de Bulnes, or Picu Urriellu, is a silhouette perfectly contoured in the physical center of the Picos de Europa. 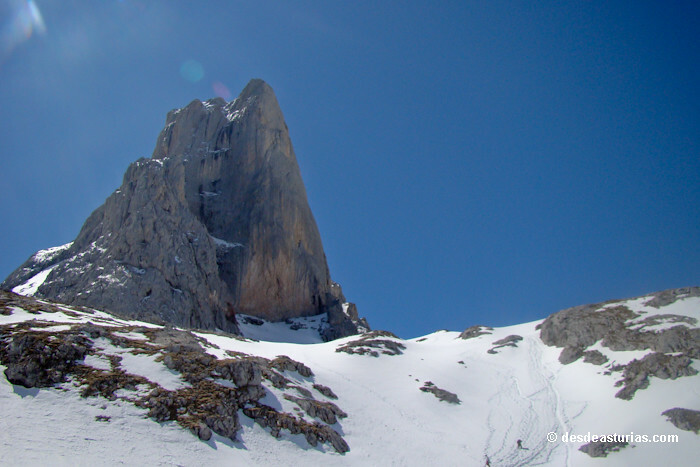 It has an altitude of 2.519 meters and is one of the emblematic peaks of Spanish mountaineering, especially for the 550 vertical wall meters of its West Face. But in addition to the views, up there we will experience the comforting pride of the mission accomplished and we can always boast of having dared with a dream. 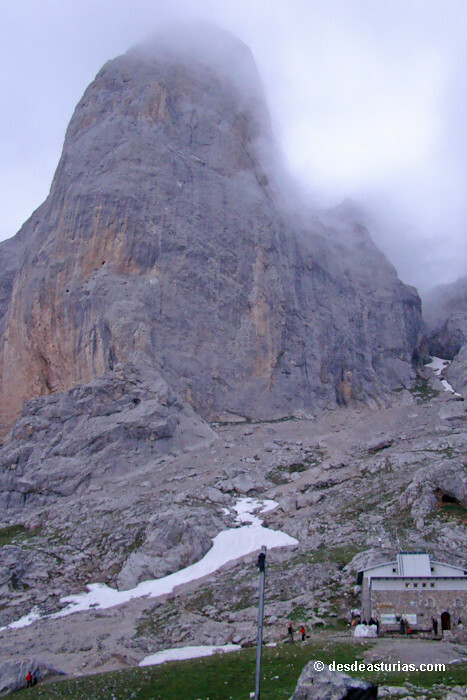 On the south side, the easiest, there are some 150 climbing meters available to almost everyone. 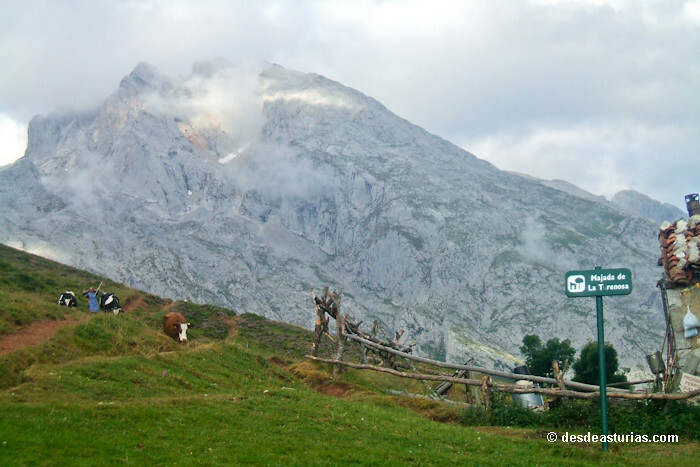 Currently climbing on all sides and edges, Naranjo is El Picu or Peña par excellence, the highest peak of the Asturian mountain. 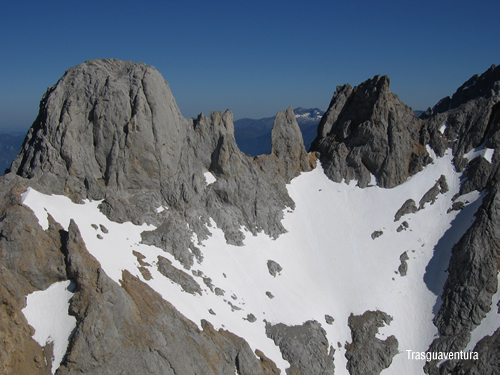 All their faces have some route of moderate difficulty and more or less affordable, except the West Face. 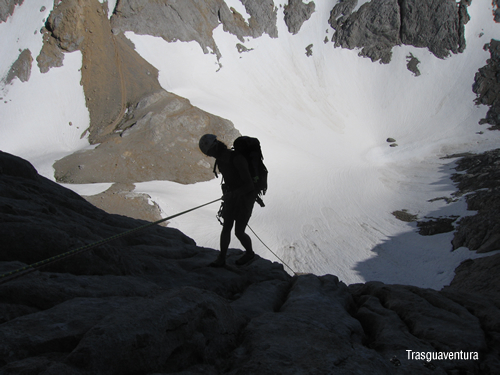 To climb the latter, a high degree of preparation is needed. 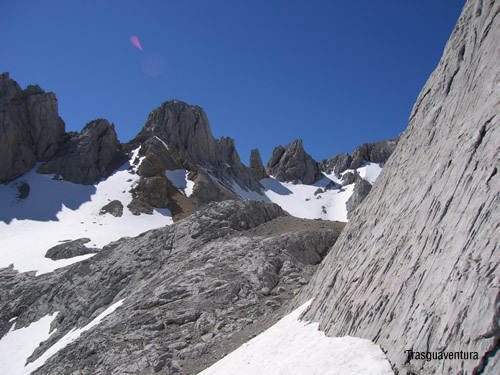 Since Luis Martínez, "el Cuco", died on this wall the 2 of September of 1928, many have been mountaineers who have lost their lives when trying to climb it. But this extremely smooth wall is one of the most tempting in the peninsula. 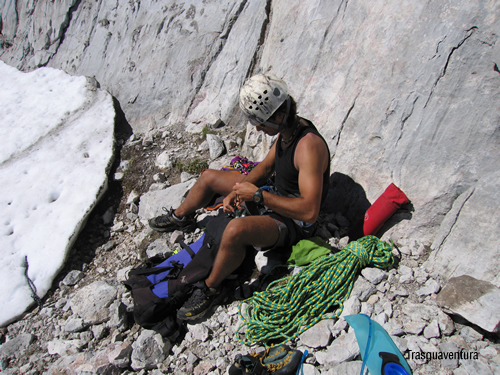 Overcoming it is an authentic conquest, especially in winter and despite the risk. 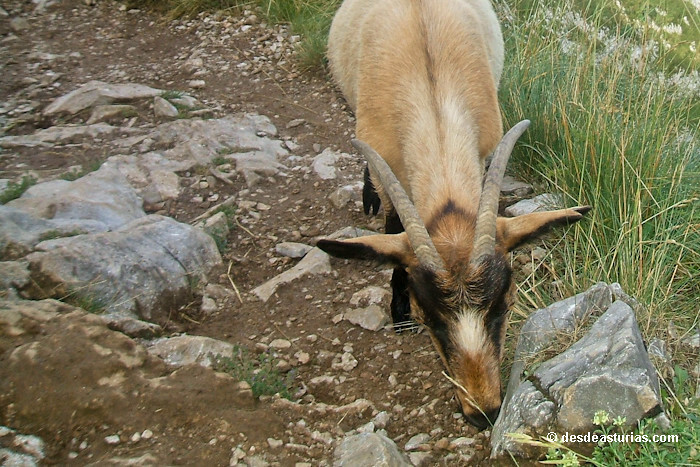 The 5 of August of 1904, Don Pedro Pidal, Marquis of Villaviciosa, and the «Cainejo», a cabraliego shepherd, inaugurated the escalations to Naranjo. 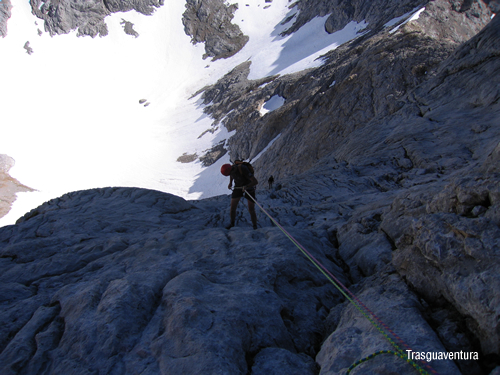 The ascent was uneven, but they managed to crown the summit by the north face, known since then as Vía Pidal. 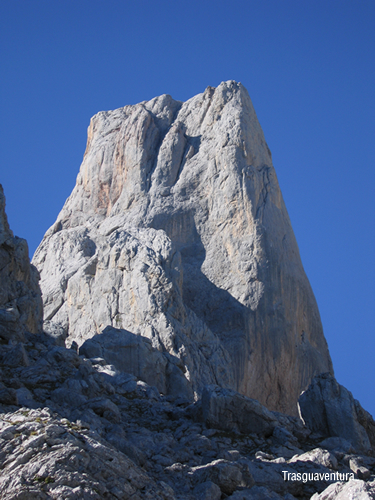 The doctor in geology and experienced German mountaineer Gustav Schulze carried out the second ascent to Naranjo the 1 of October of 1906 also by the north face. 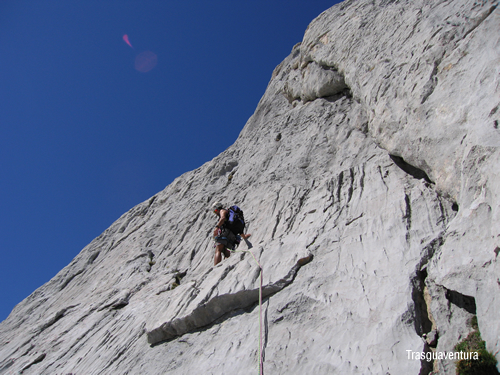 This being the first solo ascent of the peak. 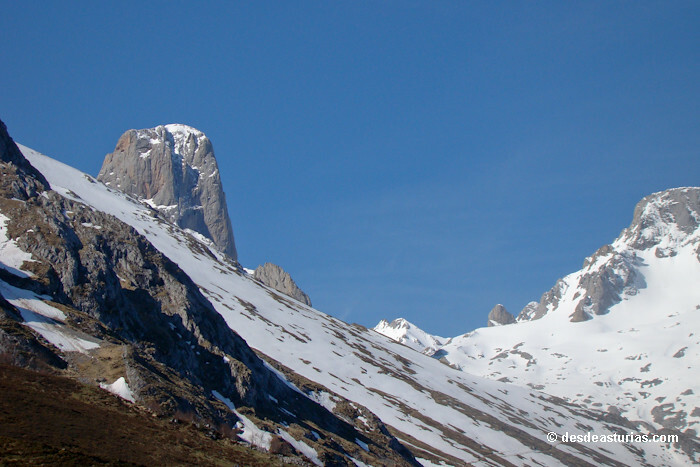 The 8 of March of 1956 Angel Landa of the Alpino Turista Group of Baracaldo and Pedro Udaondo, of the Mountain Group Juventus of Bilbao they manage to crown the peak for the first time in winter conditions. 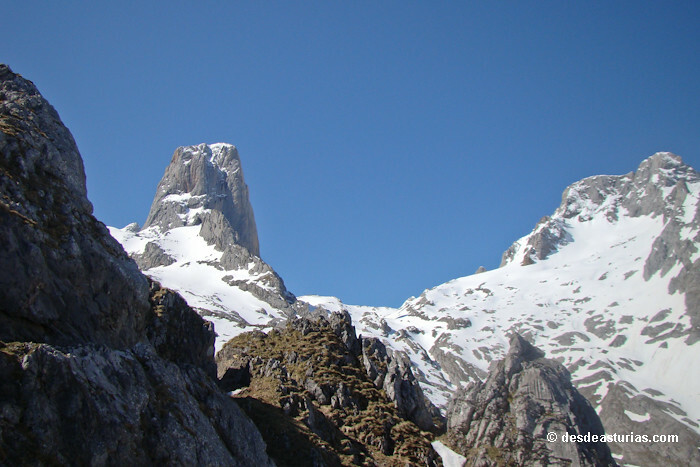 The 21 of August of 1962 the Aragonese mountaineers Alberto Rabada and Ernesto Navarro ascend to the Peak for the first time through the difficult west face. In the winter of 1969, Guipuzcoans Ortiz and Berrio die in the first attempt of winter assault on the west side. They were very close to overcoming the ascension. The media turned to this tragedy. In February of 1970 A new tragedy shocks the television media. 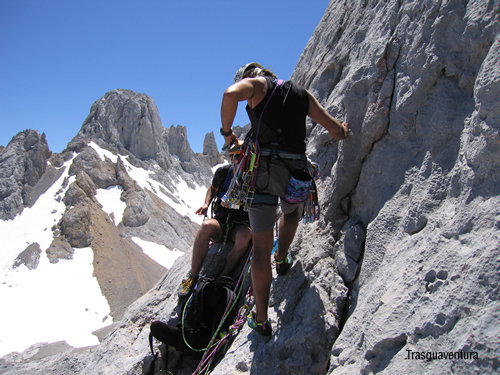 Lastra and Arrabal are rescued from the mountain, but the second died in the hospital. 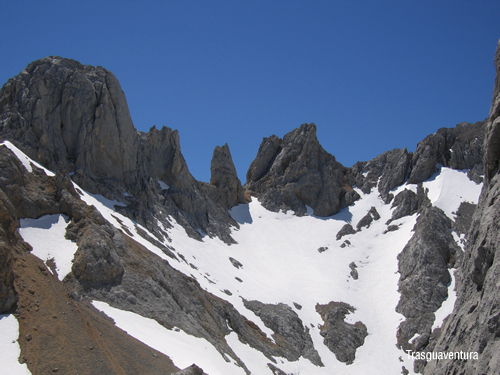 At last, in the winter of 1973, César Pérez de Tudela and Pedro Antonio Ortega "El Ardilla", together with Miguel Ángel García Gallego had all of Spain in suspense, in what was the first winter on the west side that earned them the recognition of Naranjo heroes. 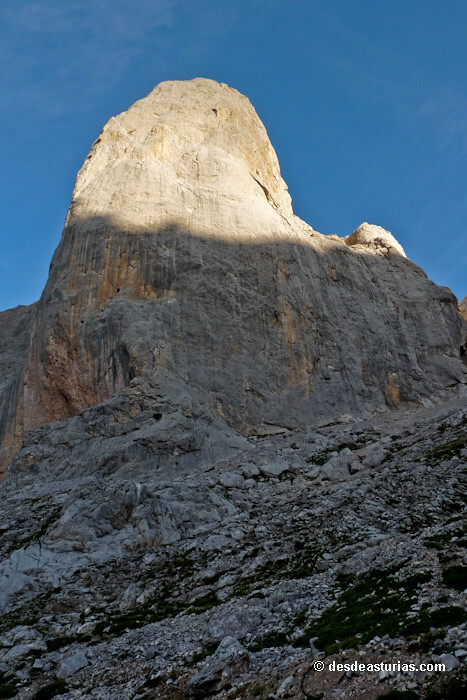 This great feat, as well as the frustrated attempts over all these years, and the dramatic deaths on the west wall, have granted the Urriellu a mythical character. 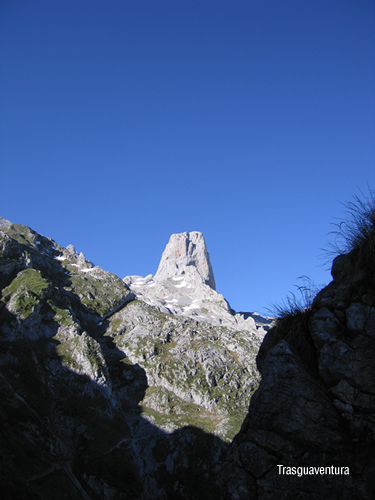 In addition to its unique figure, almost unlikely in the usual profiles of the mountain, join the particular stories of each of the climbs. For this reason, admiring the orange tree, even if it is in the distance, includes that component of risk that can never be separated from its beauty. 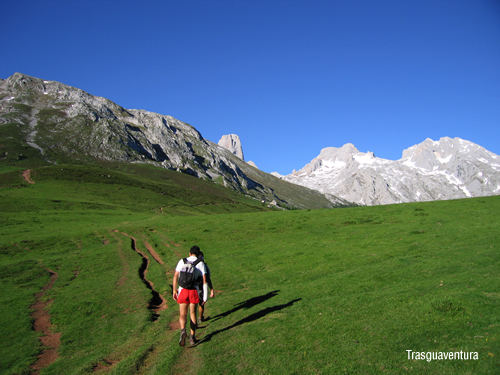 From all its viewpoints the Urriellu acts as a powerful magnet that forces us to observe it carefully. 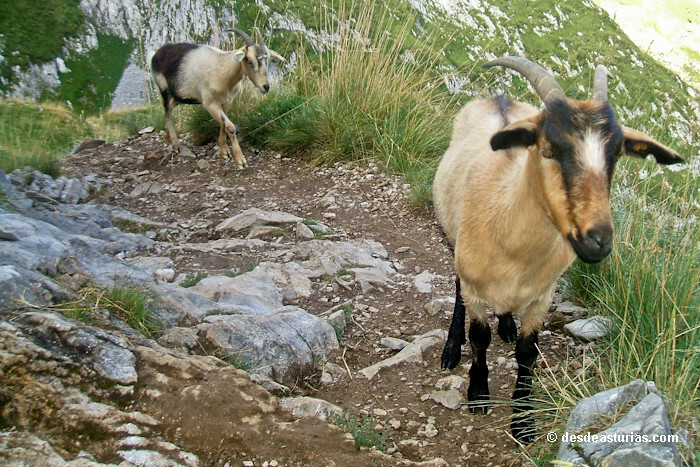 Natural strength, almost impregnable, it is as if it were constituted by a singular rock collapsed from the sky. 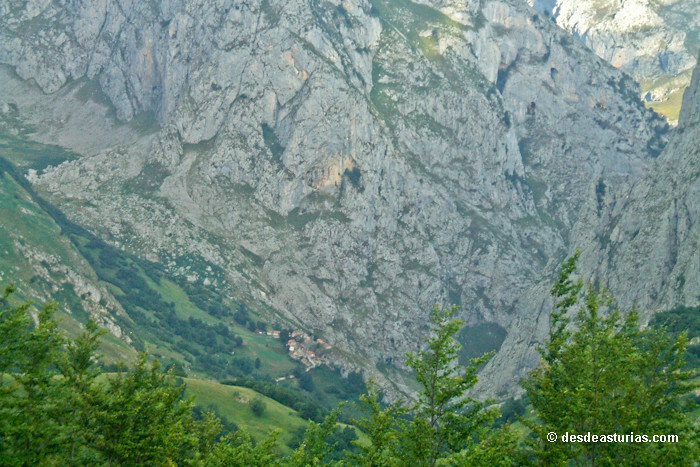 It is seen from almost everywhere in the east of Asturias: from Pimiango; from the Well of Prayer, in Póo de Cabrales; from Camarmeña, where a monument has been erected; from the village of Los Callejos; from the flat sierra of Los Carriles; from the main road, once past the town of Naves, in the direction of Oviedo; from the coastal area of ​​the parish of Pría, in Villanueva; from Ovio and Picones, in Nueva. 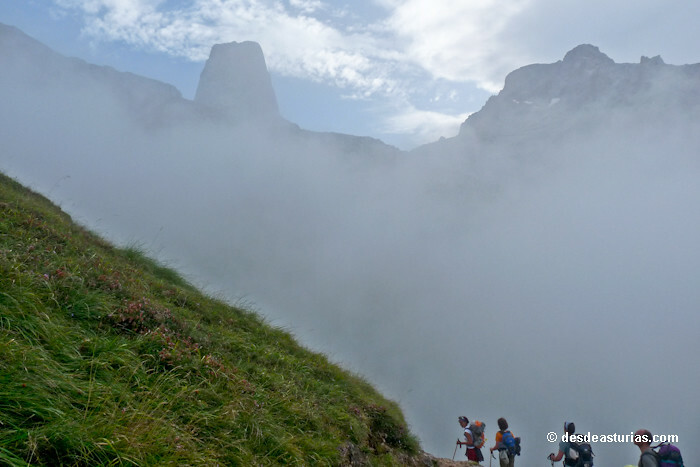 From all these places it is seen, well dark, well covered with snow, well with clouds, well orange; and is so peculiar, and has such a personality, that even covered by the fog its silhouette is cut to the other side and it is recognized. 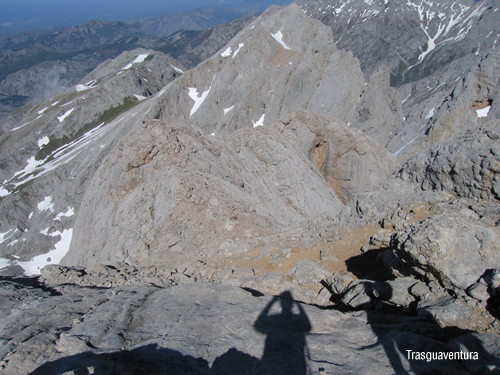 Perhaps one of its best viewpoints is in the cabraliega village of Asiegu, which from the Sierra de Cuera is an ideal observatory of the Picos de Europa. 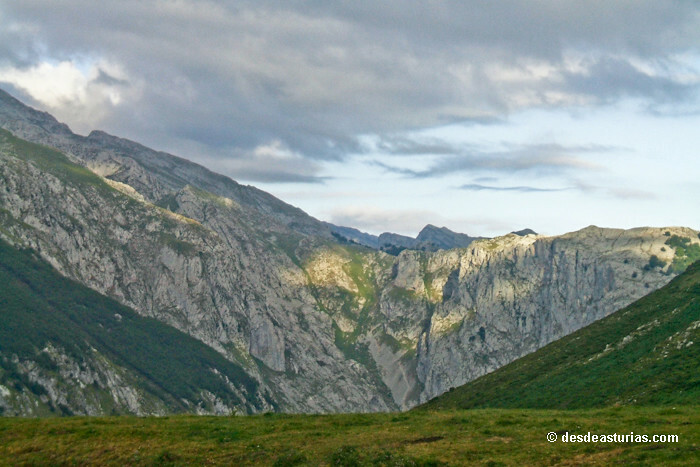 In Asiegu we discovered, at the end of the afternoon, that the Urriellu had orange and pink tones. 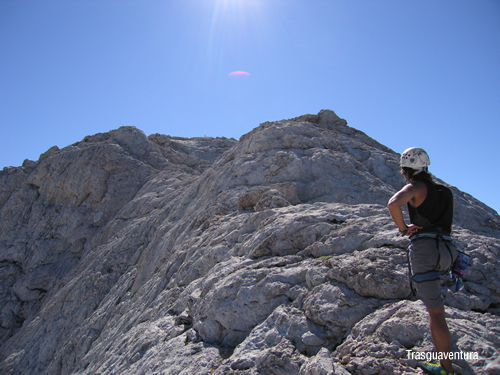 Whoever wants to admire it closer, even if he does not dare to climb it, can walk to the very skirt of this mountain and discover its imposing size. 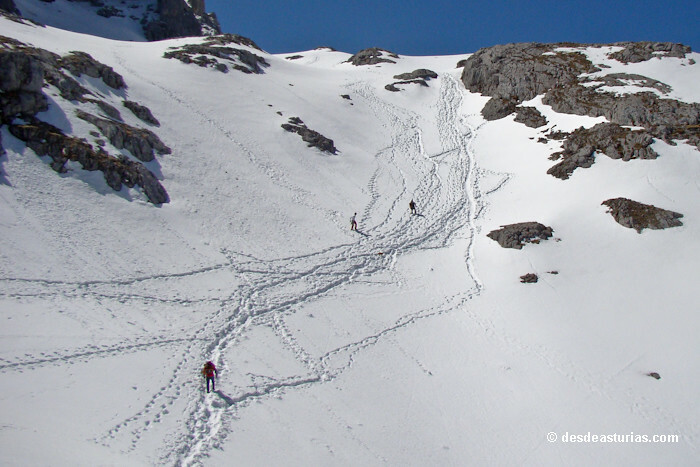 Next we explain how to approach the Naranjo base. The route will take us an average time of about six hours. 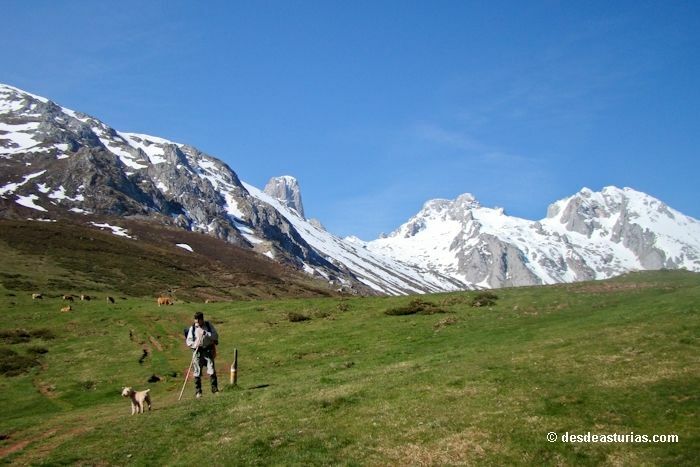 It is a full-fledged tour through the central massif of the Picos de Europa. 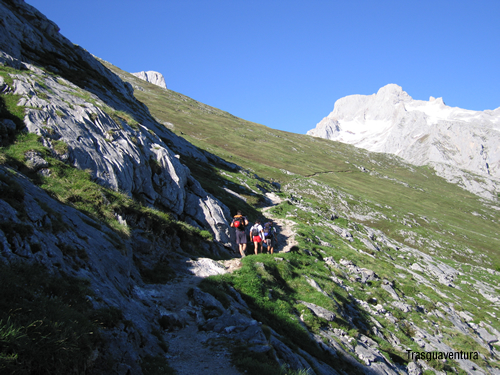 The most classic crossing to approach the Vega de Urriellu part of the mountain village of Sotres, where we will leave the car. 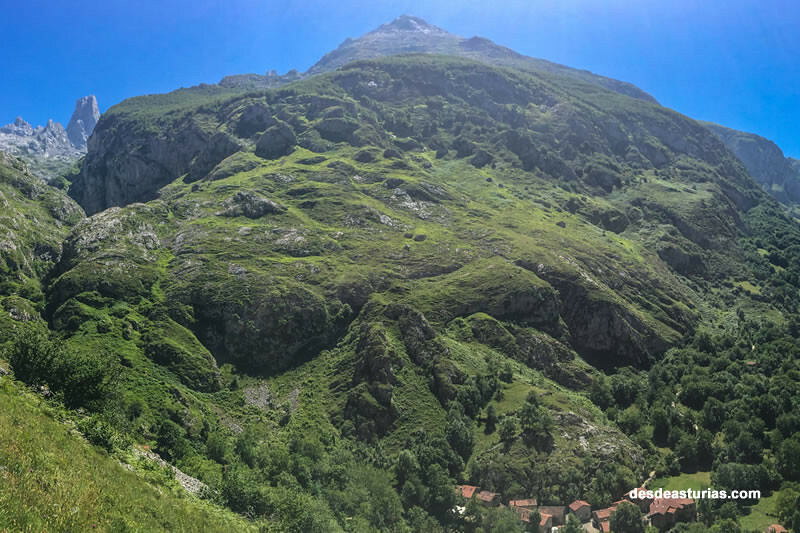 From there we walk along the track that leads to the Cabao winters; After crossing the river Duje and from there you ascend to the Pandébano pass where the track ends and the trail begins. 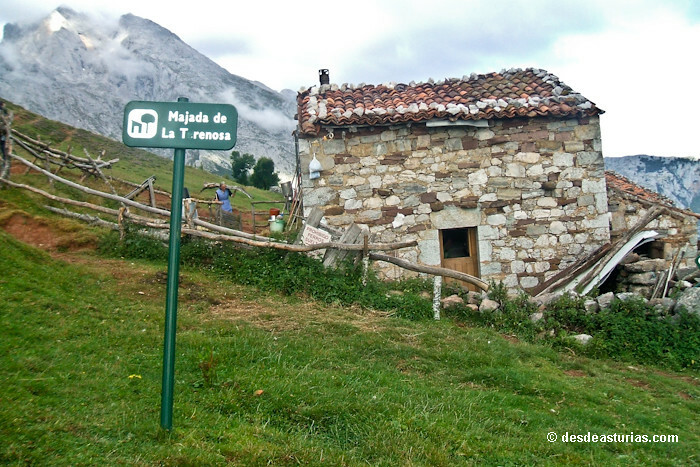 Once on the path you have to go to La Tejada de la Tejada (where the refuge of the same name is located). 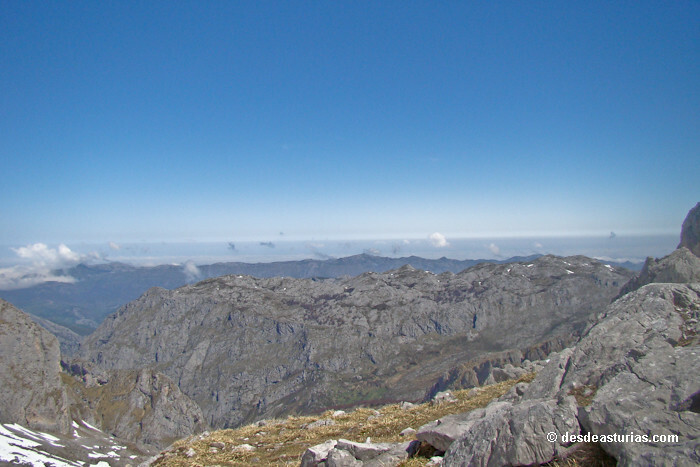 From this area Vallejo Collado is reached, and the route turns south. 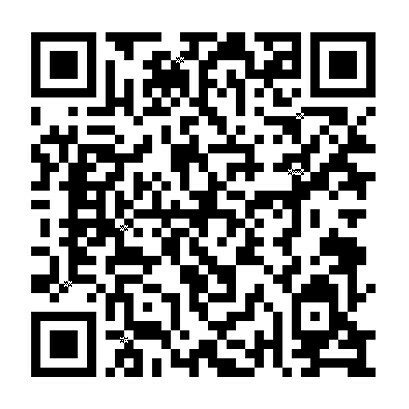 We already spotted the Picu Urriellu. 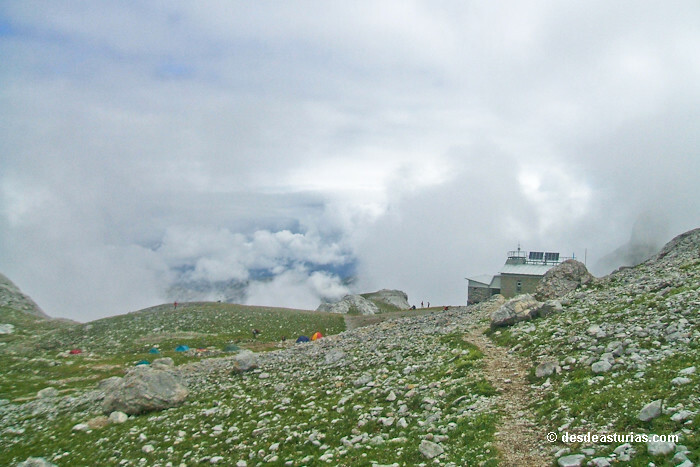 From there the path climbs zigzagging to the Vega de Urriellu, where the shelter of the same name is located at 1960 meters of altitude. To return to Sotres we do it by the same path. 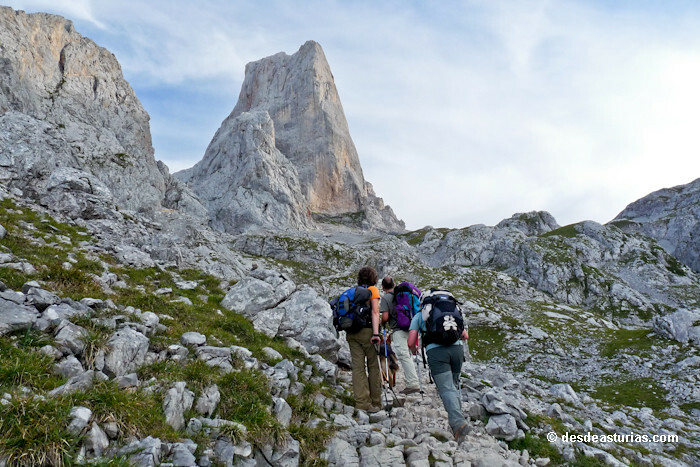 4 answers to "Naranjo de Bulnes or Picu Urriellu"